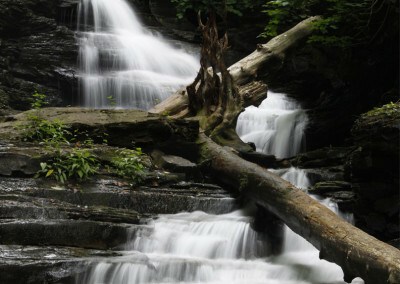 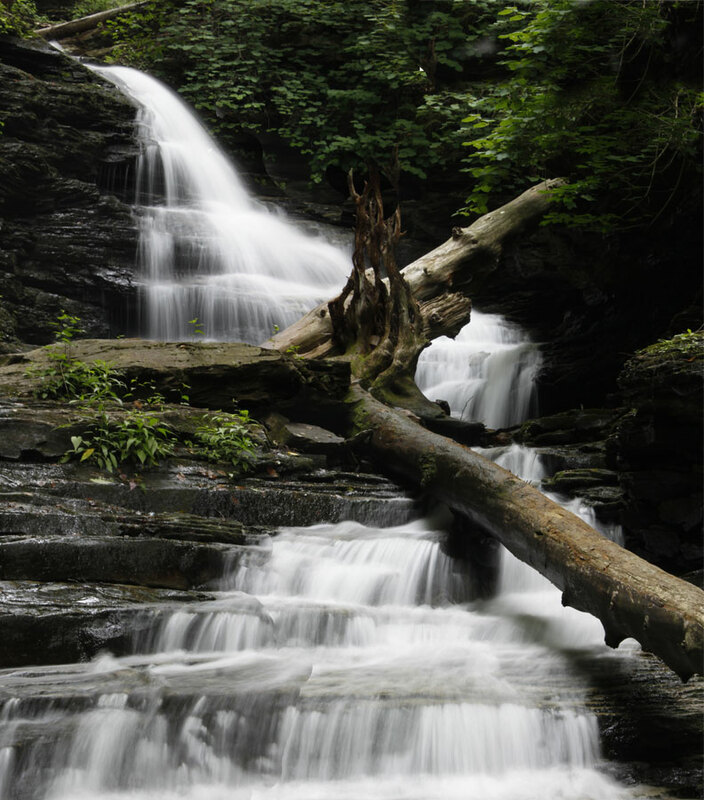 Tucked into northeastern Pennsylvania is an enchanting world known as Ricketts Glen State Park. 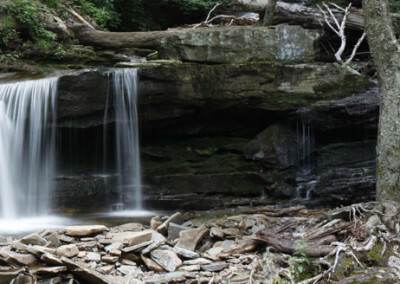 Bill discovered this natural wonderland while camping in the state. 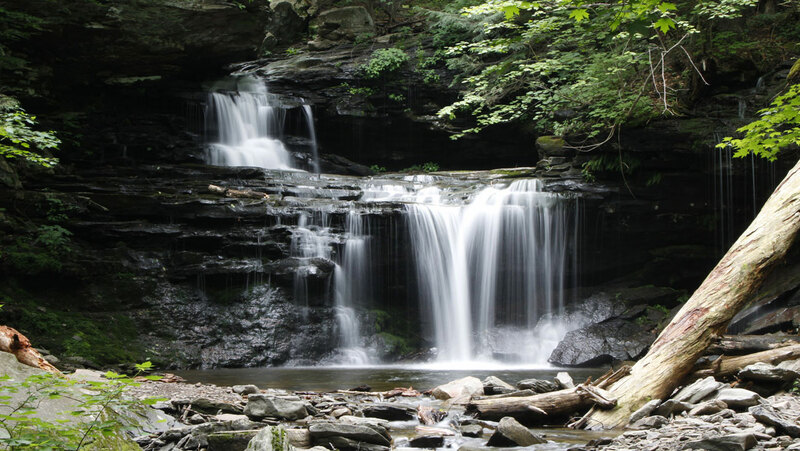 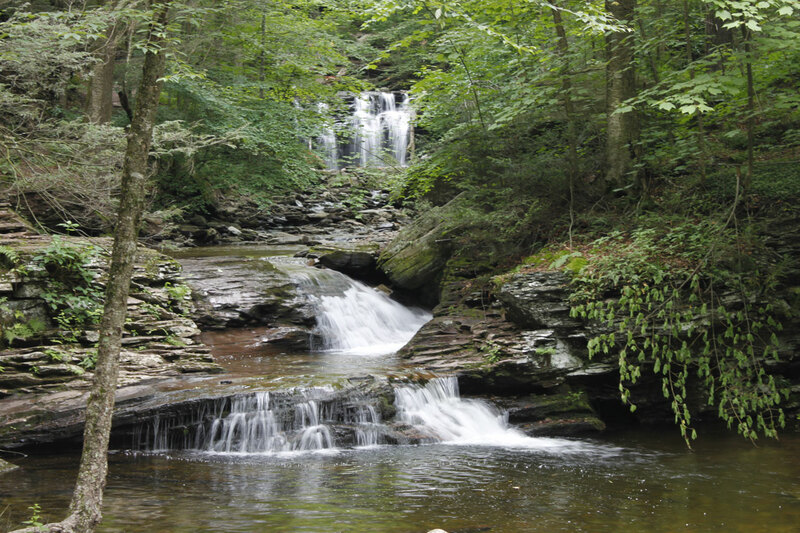 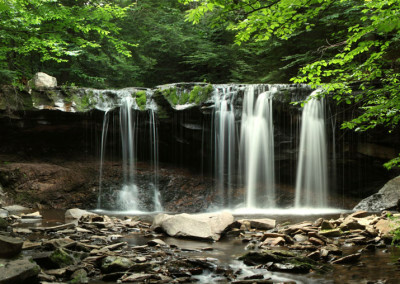 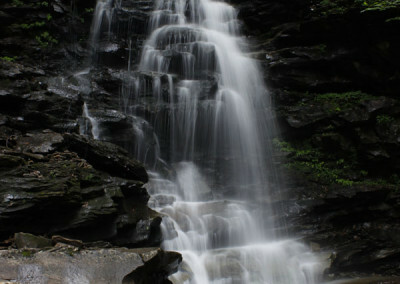 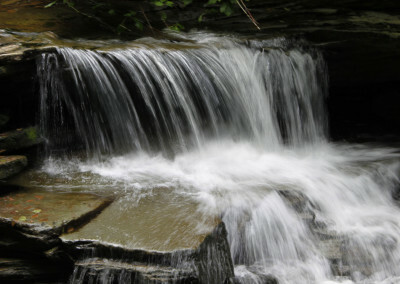 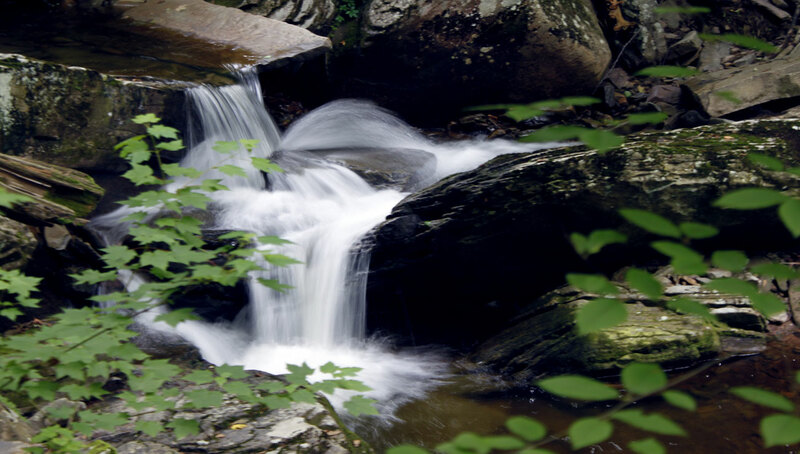 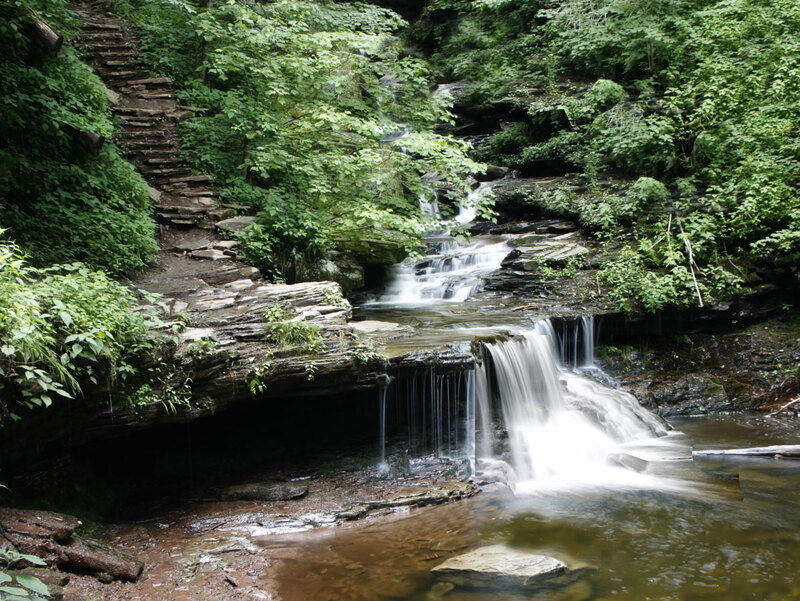 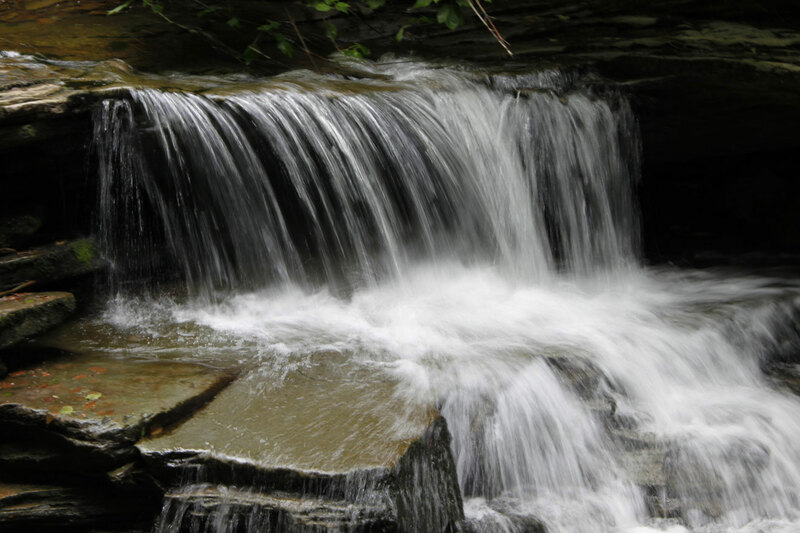 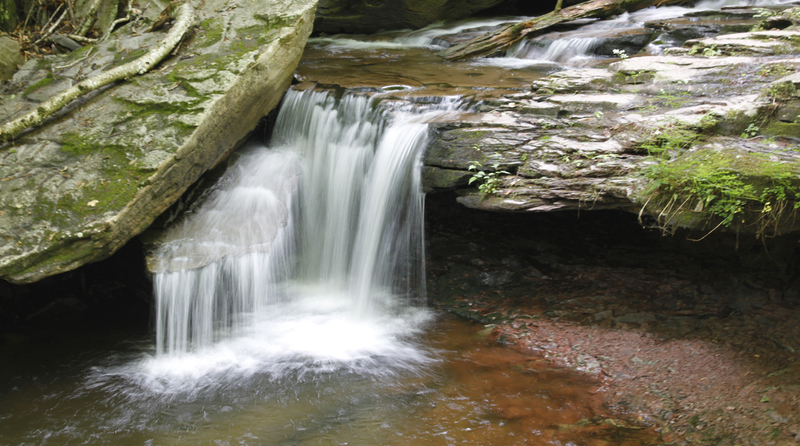 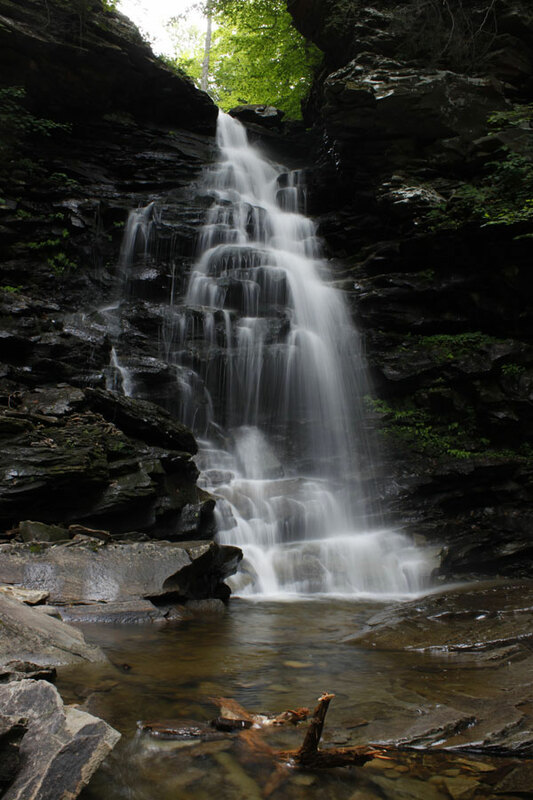 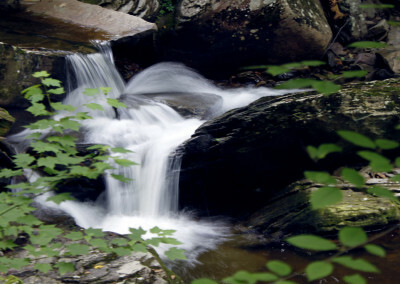 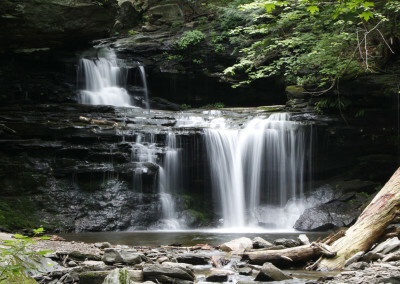 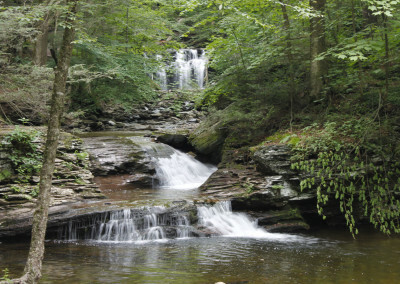 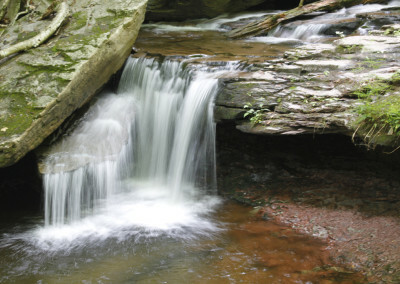 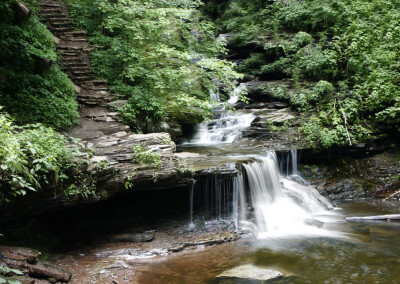 Ricketts Glen is alive with ferns and wildflowers and a three-mile loop trail bursting with twenty-four named waterfalls. 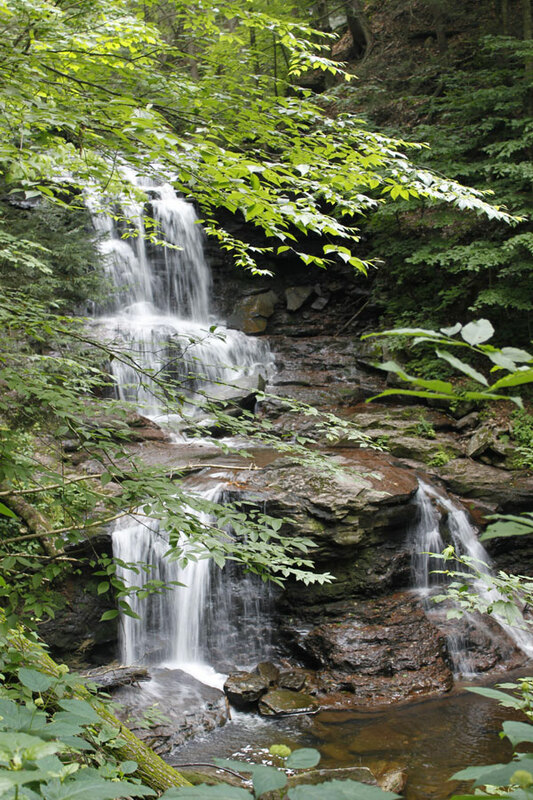 (It's hard to keep up with all the official monikers so Bill has given some of them his own fanciful names.) 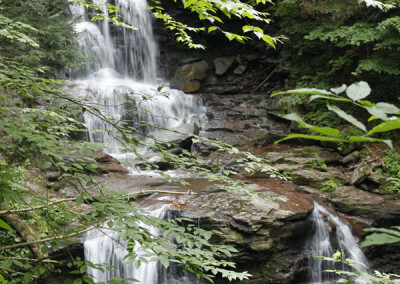 People enjoy Ricketts Glen year-round, even wearing special cleats on their shoes to traverse frozen winter streams and falls.